Sometimes it is easy to think of issues affecting poverty as individual problems that need to be solved one-by-one, like providing clean water, food security, protection for children, education, and providing health services. But the reality is that these issues are all connected and you cannot work to solve one without impacting another. Today, on World Water Day, we are looking at the optimal linkage between water, food security, and nutrition, celebrating the progress that has been made so far. 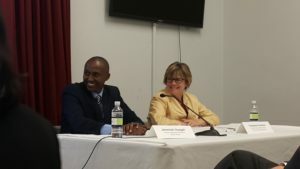 “You are probably wondering if aid works, and I am here to tell you it does because I was once a sponsored child”– a simple, but powerful statement that began the prepared remarks made by Jeremiah Nyagah, Operations Director for World Vision Kenya at a Congressional briefing held in Washington, D.C. on Monday. 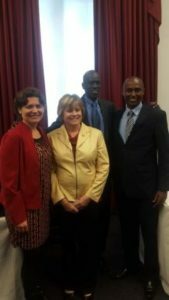 Jeremiah joined a group of panelists representing the United States Agency for International Development (USAID) Bureau for Food Security, the Farm Journal Foundation, and Water for South Sudan for a briefing titled, “Exploring the Links Between Food and Nutrition Security and WASH.” In the international development community, WASH is shorthand for water, sanitation, and hygiene. The event was organized as part of a joint effort to mark National Agriculture Day and World Water Day, which are both celebrated this week, yesterday and today respectively. Importantly, with recent Congressional passage and signature into law of both the Water for the World Act and the Global Food Security Act, a significant bipartisan, comprehensive commitment has been made to WASH, nutrition, and food security programming around the world. The panel addressed the importance of both bills, as well as the integration of these sectors in improving access to water and hygiene and sanitation, as well as food and nutrition security. In his remarks, Jeremiah provided concrete examples of World Vision’s WASH and food security projects specifically highlighting the USAID-supported Kenya Resilient Arid Lands Partnership For Integrated Development (RAPID) program, a five-year development effort that brings together public and private institutions and communities to increase access to water and sanitation for people as well as livestock. As a partner in implementing this program, World Vision Kenya has been working alongside communities in the northern Wajir county, which is one of the most water-scarce areas in the country, meaning limited crop production, high poverty rates, food insecurity, and poor sanitation. However, the realities for this community changed when the Kenya RAPID program was launched. 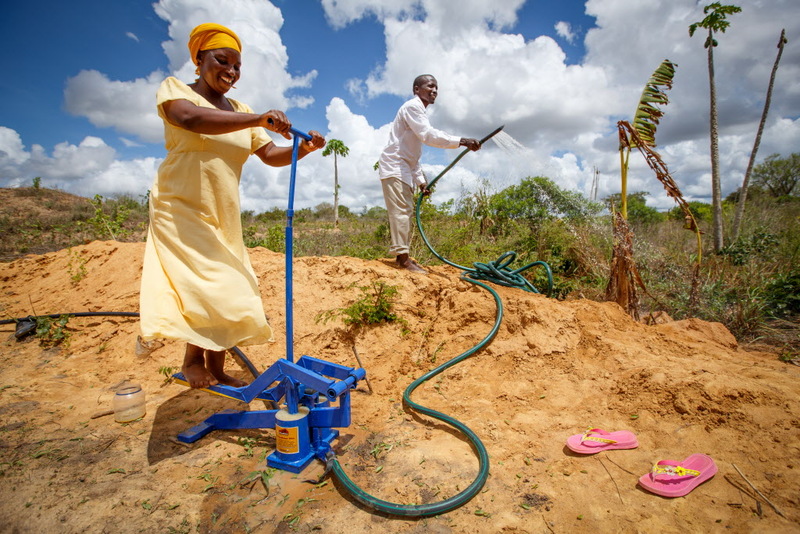 World Vision began working with various women’s groups to provide technical support and training to improve agricultural production through increased irrigation. Today, these women grow and harvest vegetables every day and sell to local markets, realizing harvest yields that are four times the amounts of original productions prior to the start of the program. With the increase in income, these mothers can reinvest these resources back into the family, often using the additional funds to pay for education, nutritious foods, or healthcare costs. In Jeremiah’s closing remarks, he noted the challenges associated with international development, recognizing that it sometimes might feel that the problems facing vulnerable communities around the world are not improving. But, he cautioned the standing room only crowd to not give up as progress is, in fact, being achieved, and he sees it every day. He shared that there was a major drought in Kenya in 2011 that affected more than 5 million people, and now today, another drought of similar magnitude is emerging, but this time it’s anticipated that less than 2.7 million will be impacted. While this number remains still too large, it does highlight the value of improved programming that is building families resilience to these droughts over time, including efforts that link various sectors such as WASH, food security, and nutrition. As the international community looks to achieve its global goal of ending hunger and providing access to safe affordable drinking water for all by 2030, consider joining these efforts alongside of World Vision and our partners by writing or emailing your elected officials and ask them to support the international affairs budget that funds vital efforts like the Kenya RAPID program. Or partner with the work of World Vision through direct donations or registering for the Global 6K.